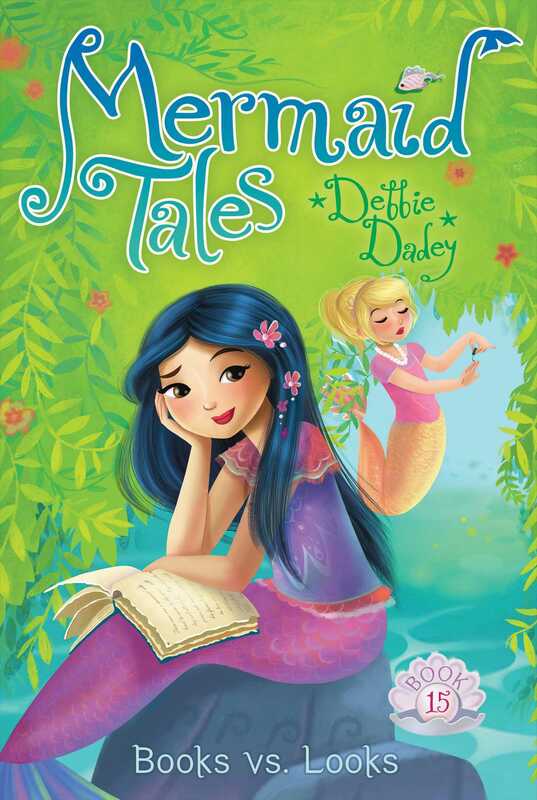 Kiki wants to start a book club, but Pearl tries to steal the spotlight with a rival fashion club in this sparkling Mermaid Tales adventure. Kiki misses her brother, Yuta, who lives on the other side of the ocean. To help keep in touch, the two of them start a book club, and Kiki decides it would be fun to expand the club for all of Trident Academy. But Pearl doesn’t want anything to do with a boring book club. Instead, she decides she’s going to make the best club ever: a fashion club! Pearl will do anything to make sure the other students join her club instead of Kiki’s, and offers free food, candy, and even prizes to draw them in. But will it be enough? Who will win the battle of the clubs? KIKI CORAL WAS SWIMMING to her dorm room after school one Friday when she felt a tap on her shoulder. 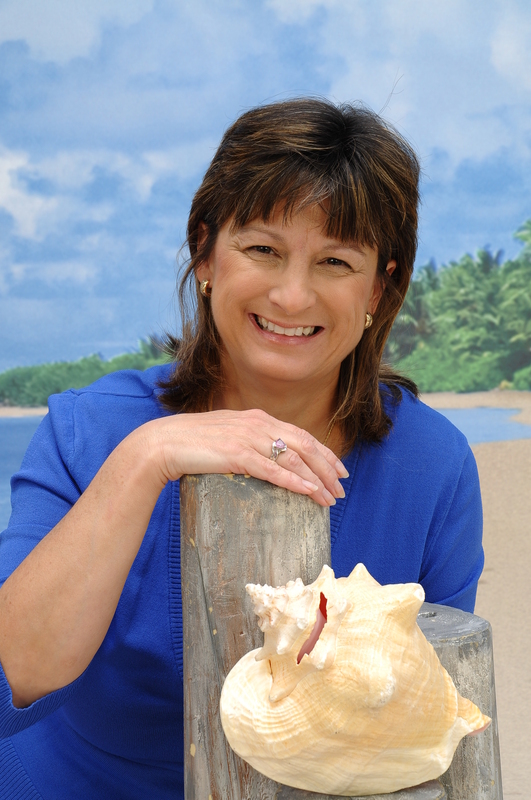 “Thanks,” Kiki said as Madame handed her a kelp envelope. Kiki smiled as she raced down the Trident Academy hallway. She bumped into a mergirl from her third-grade class. “Watch out, for shark’s sake!” Pearl Swamp snapped. “Sorry,” Kiki said, still clutching her letter. Her heart pounded in excitement. Kiki loved getting notes from her family in the Eastern Oceans. It made going to school so far away, in the Western Oceans, a little easier. She soared through her doorway and swam straight to her killer-whale skeleton bed. Once she had curled her purple tail among the gray heron feathers, Kiki ripped open the letter. Hi! How is school? I wish I could go 2 Trident 2. Guess what? My f riends started a book club! We are reading a scary book. I will show it 2 u when u get home! Kiki read the letter twice and blinked back a tear. Her brother Yuta was a year younger than she was. She had been very close to him ever since they were small fry. Now that she went to school so far away, she really missed him. Kiki glanced around her dorm room. Rainbow-colored jellyfish lamps hung from the curved ceiling, and a small waterfall tinkled gently in a corner. One whole wall glittered with plankton. A magnificent coral reef made up another wall. Kiki knew she was lucky to have such a fin-tastic space all to herself. At home her brothers had to share bedrooms. But living all by herself could be lonely. Sometimes she wished she had someone to talk to. Weekends were the worst, because her best friends, Echo and Shelly, usually spent those evenings with their families. Many students who lived in the dorms also left to visit relatives. At least she had plenty of books to read! Kiki looked at her tall rock bookcase and smiled. She had read every book on her shelf over and over. Reading stories always helped her feel less lonesome. Kiki read Yuta’s letter one more time before hopping on her tail with excitement. Even though Yuta was far away, he had given her a mer-velous idea!